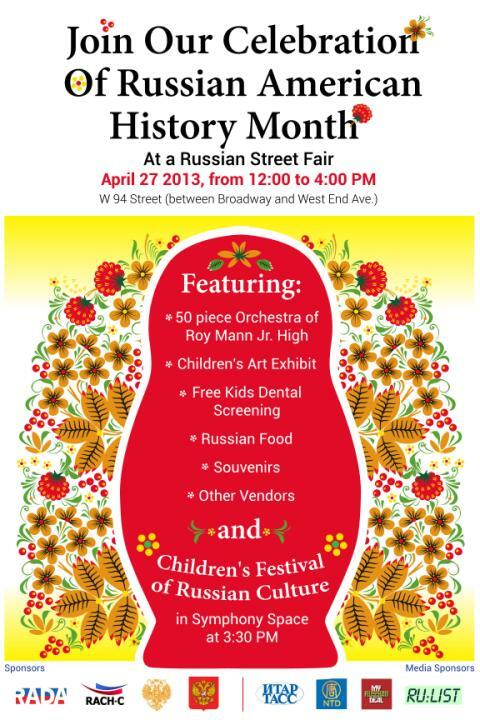 A “Street Fair” celebrating “Russian-American History Month” will take place alongside the Symphony Space theater on 94th St. from Broadway to West End Avenue from 12 noon to 4pm on Saturday April 27. Street Fair visitors will be treated to music of Russian composers played by the senior orchestra of Roy H. Mann IS 78, from Brooklyn. Visitors will also enjoy Russian food, souvenirs and other delights. A special mobile lab providing oral hygiene exams and information by RADA, the Russian American Dental Association will be available free of charge for children. The Mustang Band (beginning band), Junior Concert Band, Senior Concert Band, Select Concert Band and Jazz Ensemble. The program takes particular pride in continuing and nurturing the great traditions of Russian instrumental music, as carried on from generation to generation. The students frequently perform at numerous official and unofficial NYC events. The Roy H. Mann Bands acquired thirteen official New York State School Music Association awards as well as awards and trophies at High Notes NYS festivals, Heritage Performance PA festivals and Performing Arts Consultants festivals. The official awards include Gold Ratings awarded to the Jazz Ensemble and to the Select Concert Band. Additionally, Roy H. Mann Honor bands were selected to perform at Disney Magic Music Days in Orlando, FL and were featured at a Universal Studios music showcase. 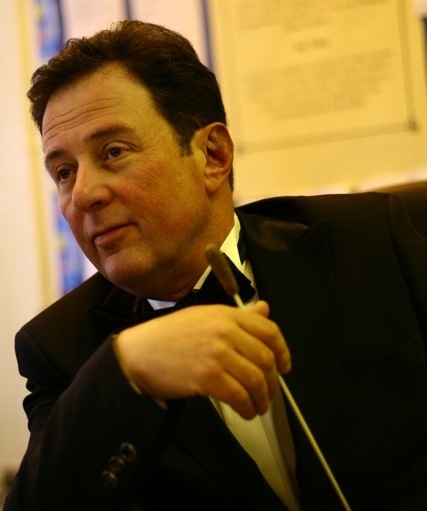 In 2009, The Roy H. Mann music department received an invitation to perform at the Presidential Inauguration Ceremony in Washington, D.C.
Alexander Kaminnik’s inspired leadership as a music director of the Instrumental Music Department has brought acclaim and recognition to Roy H. Mann major music program. Mr. Kaminnik studied classical and jazz piano, conducting and arranging at the Gnessin Russian Academy of Music in Moscow, Russia. He also received his MA from Lehman College in New York. His extensive experience as a performing and recording artist includes various movie soundtracks, tenure in Anatoly Kroll’s Big Band, concert tours in the former USSR and in 14 European and Asian countries, as well as sharing the stage with Carlos Santana, Bonnie Raitt and the Doobie Brothers. Mr. Kaminnik is affiliated with NYSSMA, NYSBDA and The National Guild of Piano Teachers. He made his Roy H. Mann debut as the Director of Bands in 1995. In 2013, in recognition of his long successful career, Mr. Kaminnik has been nominated for the GRAMMY’s Music Educator Award. This entry was posted on February 20, 2013 by admin in 2013.